PORTER COUNTY, Ind. (WLS) -- South Shore train service has resumed in both directions after an earlier collision with a vehicle. 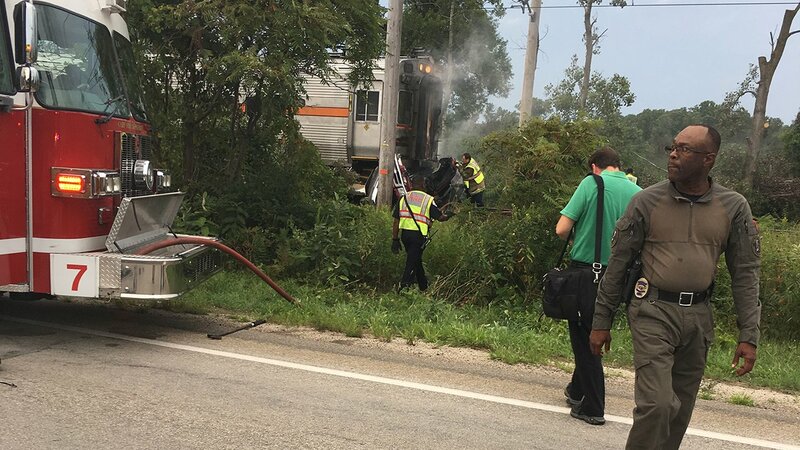 A South Shore train spokesperson said an eastbound train struck a vehicle at County Line Road west of Ogden Dunes Tuesday evening. The Porter County Coroner said witnesses reported a 1996 Ford Ranger pick-up truck was traveling north on Country Line Road and drove around the arms of a railroad crossing. It was struck on the passenger side. The driver was killed. No one on the train was injured. Trains were stopped in both directions and delayed over 90 minutes following the accident. All train service is currently stopped west of Ogden Dunes due to a train/vehicle collision. Estimated time of delay for all trains is at least 30-60 minutes.